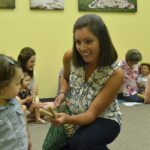 Those of us who work with young children know how essential movement is to a successful music therapy session or music class. Although movement is necessary, sometimes when all of the kiddos get up to move, chaos can break out and spread like wildfire! 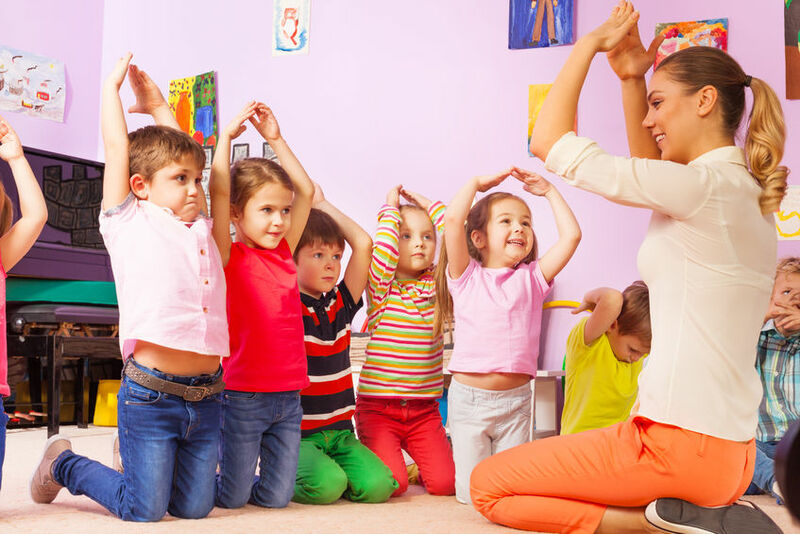 As a young music therapist, it was hard to manage gross motor movement songs effectively; it always seemed like my clients and students would become dysregulated, run around, and have difficulty following along. As the years go on, I’ve gotten a little bit wiser, and have learned to work smarter and not harder when it comes to movement interventions. I’ve come to the realization that facilitating movement songs where clients and students are sitting (yup, you read that right, sitting!) is incredibly beneficial and helps keep everyone engaged while making sure they move the way their bodies need to! I’ve learned that kiddos can stomp their feet, tap their bodies, and get their wiggles out even when they’re not standing up. In this post, I’ve featured two new Listen & Learn Music songs that are ideal for seated movements. “Makin’ Rhythm With Our Hands” is a simple song with a familiar melody that makes it an easy addition to any music therapy session or music class. Because of the flexible lyrics, it’s like the movement version of the song that never ends: countless kinds of motions can be added, which makes it adaptable for anyone’s needs. I’ve added stomping, wiggling, clapping, and so much more to “Makin’ Rhythm With Our Hands” and my students and clients have loved singing along and offering suggestions for additional movements. 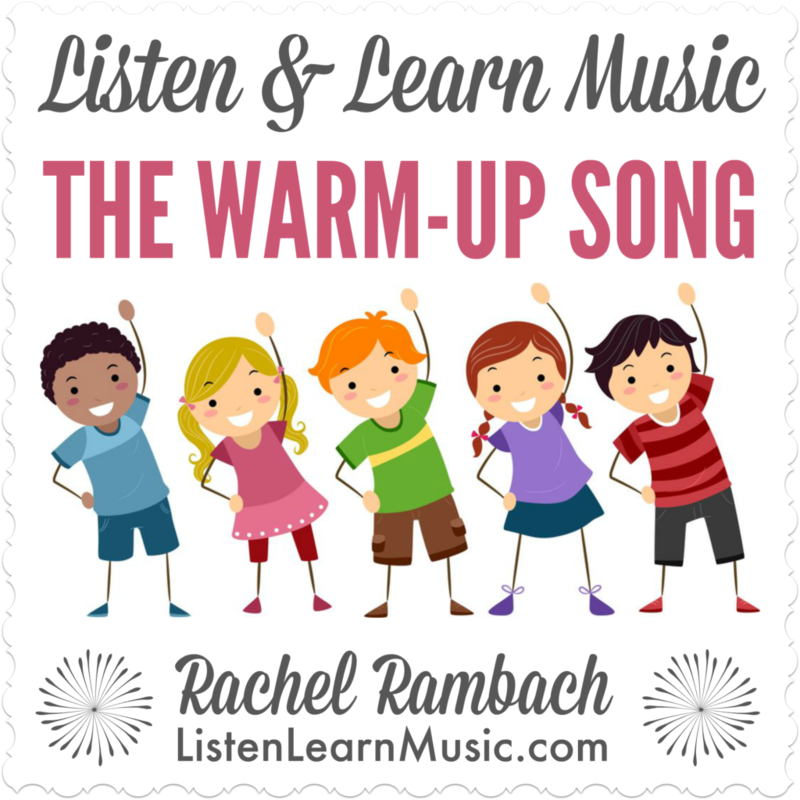 I am a firm believer of warming up our bodies, and “The Warm-Up Song” addresses that very topic. During the chorus, I typically have my students and clients pat their laps, and then move into a new body part “warm-up” for each verse. The verses for “The Warm-Up Song” are simple, and direct participants to warm up a specific body part. But the lyrics don’t describe how to do it, which gives the music therapist or song facilitator an opportunity to model and create movements that will be most effective for their clients and students. Some of the movements I’ve done for “The Warm-Up Song” including rolling your shoulders, reaching up high, squeezing fists, stomping your feet, patting your arms and legs, and many more. The possibilities are endless and allow our clients and students to practice imitating movements, which is a critical skill for all children. I’ve found that both of these songs work best when I set the guitar down and model the movements while leading the song. Not only does that demonstrate to my clients and students how their bodies should be moving, but it also gives me a chance to move my body too! If you’ve ever felt overwhelmed by gross motor movement songs in your music therapy groups or music classes, give these songs a try! These are just two of many movement songs that can be done sitting down, but there are many more that can be adapted in this way inside the L&L catalog. I’d love to hear from you: which movement song from the Listen & Learn Music collection do you find is most effective?